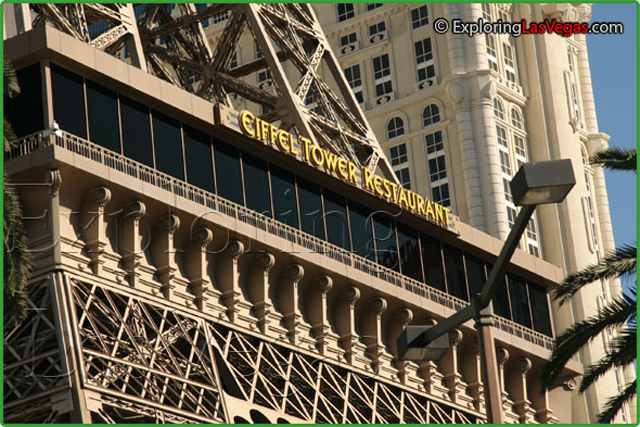 Eleven stories high in Paris' Eiffel Tower replica is a gem of a restaurant, the aptly named Eiffel Tower Restaurant. As you might expect, the cuisine is French. However, it is French cuisine uniquely updated by Chef J. Joho. 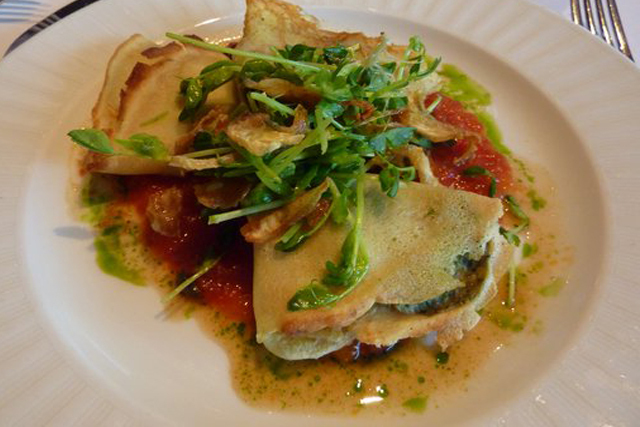 The quality of the food has been acclaimed by many critics—surely making Eiffel Tower Restaurant a great start to your night. To reach the restaurant, diners ride a glass elevator that opens to a view of the kitchen before being escorted to the dining room. The amazing views do not end with the kitchen, of course. Panoramic views of the Las Vegas Strip, including a view of the Bellagio's water fountain show, tantalize diners all through their meal. The metal framework of the Eiffel Tower breaks through the restaurant walls in places, creating a visually stunning reminder of diners' location in one of the most popular casinos on the Strip. This ambience is perfect for small groups, but it is by no means limited to small groups of diners. The semi-private room in the Salon Prive, which is enclosed in glass, can hold up to 20-person parties in style. For even larger parties, the Left Bank accommodates up to 60 people. Menus can be customized to meet your needs. With so many options so that you receive the best possible service, dining at the Eiffel Tower Restaurant will be a pleasant experience. Enjoy both food and ambience, and start your night out in style. love the way thier food taste it taste like an angle has cooked and done an amazing job.